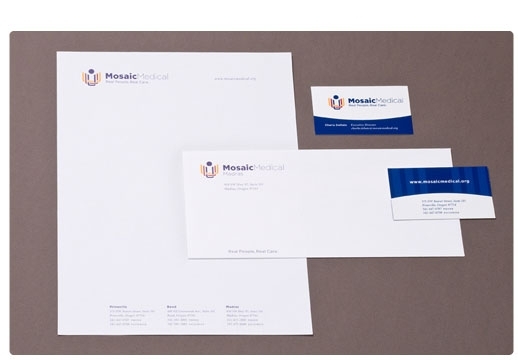 A new identity for a non-profit medical care provider that overcomes the “free clinic” stereotype. Suggest the diversity of patients served as well accurately communicate the broader legitimacy and trustworthiness of the organization. 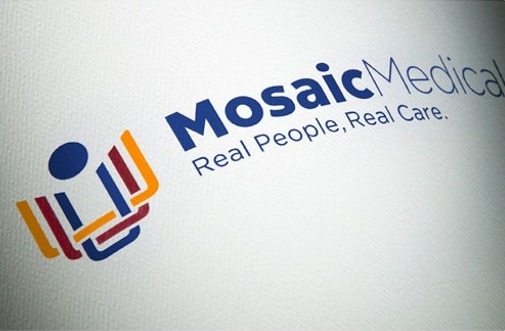 Position Mosaic Medical as a community hub and attract patients of every socio-economic status. The new “Mosaic” name and symbol artfully evoke the concept of a community of color, woven together and unified in support of the individual.